There are quite a few security portals built into the Android OS to keep your device and its contents safe. 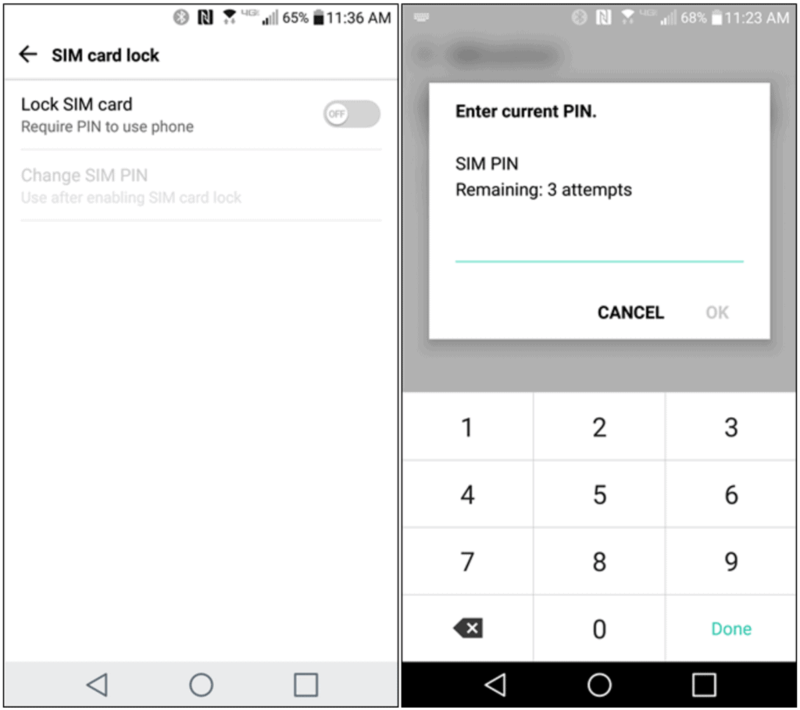 While the solid passcode or fingerprint lock can be a robust defense, you can set SIM card lock on Android for an added layer of security. If your Android device is tied to a carrier like AT&T, the ability to lock or unlock your SIM card remotely comes automatically. However, almost all the Android devices these days have some form of settings to help you secure the data on your SIM card and prevent it be used by someone else without your approval. From the home screen of your Android device, use the Quick Settings panel and head over to the Settings. 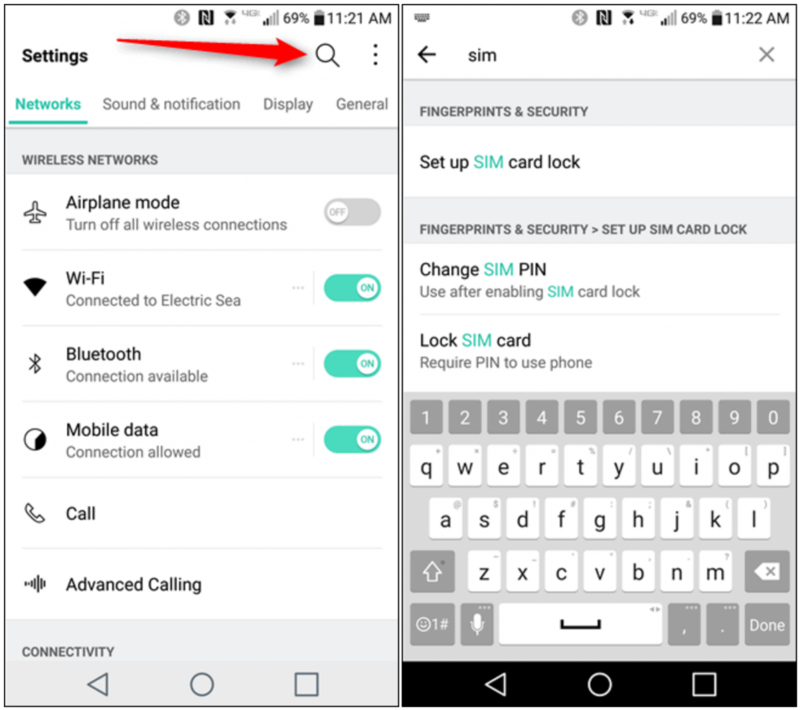 Using the search function of the Settings app, search for any keyword related to SIM card PIN and you should see a few options in the highlight. However, if your Settings app does not come with the search feature, you can browse around in the SIM menu to find the option. Tap on the option that says “Set up SIM card lock” and you will be able to access the SIM card lock menu. To set up the SIM card lock pin, tap on the toggle switch next to “Lock SIM card” and a pop-up window will ask you to “Enter current PIN”. The default PIN for most network carriers is 1111, but if it does not work in the first attempt, contact your carrier before you proceed. 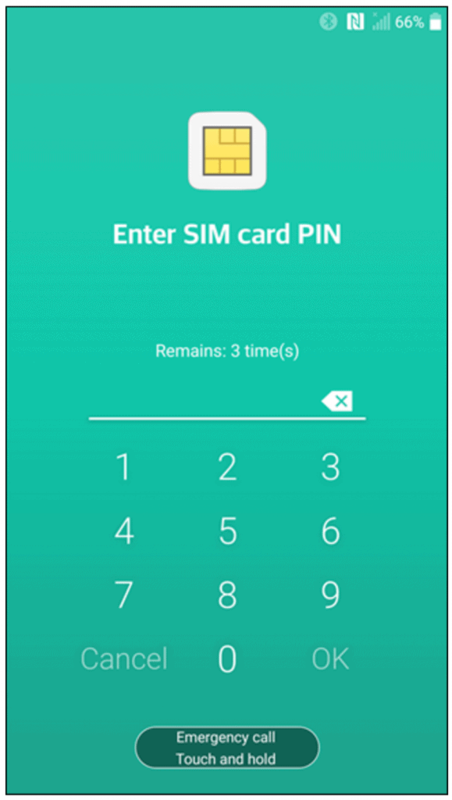 Once you enter the correct SIM card pin, the service will be activated, at which point you can go ahead and change the 4-digit default PIN code. From now onwards, your device will require the passcode, as well as the locked SIM to be inserted into the device to use it.